Halliburton is an American multinational energy firm which employs over fifty thousand people as of 2018; and has dual headquarters in Dubai and Houston. It operates in the petroleum and natural gas exploration and production domain in over 70 countries. It also offers digital and consulting energy solutions, volume optimizations, fluid systems amongst other services through its several subsidies. It has a strong corporate governance code and maintains high health, environment and safety standards within the firm. Its mission as a company identifies what it does today, why it does so and for whom. While its vision defines what it aspires to be like and give it an image of success. 1. Strong product and services portfolio: Halliburton Company operates majorly in two segments – Completion and Production and Drilling and Evaluation segments. Completion and Production delivers cementing, stimulation, intervention, pressure control, specialty chemicals, artificial lift and completion of products and services. Drilling and Evaluation provides field and reservoir modeling, drilling, evaluation and precise wellbore placement solutions that enable customers to model, measure, drill and optimize their well construction activities. Completion and Production revenue in the second quarter of 2018 was $4.2 billion; an increase of $357 million, or 9%, from the first quarter of 2018 while operating income was $669 million, an increase of $169 million, or 34%. Drilling and Evaluation revenue in the second quarter of 2018 was $2.0 billion, an increase of $50 million, or 3%, from the first quarter of 2018, while operating income was $191 million, an increase of $3 million, or 2%. 2. Strong Technology arm: Halliburton maintains an active research and development program. The program improves products, processes and engineering standards that serve the changing needs of our customers, such as those related to high pressure and high temperature environments. This program is also responsible for the development of new products and processes. Through this program the company had developed a number of new and efficient tools in 2017 like the Geometrix™ 4D Shaped Cutters, Sperry Drilling’s JetPulse™ and the Express Kinect™ Wellhead Connection Unit. The Sperry Drilling’s JetPulse™ high-speed telemetry service is an importat innovation as it enables operators to make better decisions faster while the Express Kinect™ Wellhead Connection Unit allows the company to deliver better efficiency and safety for multi-well fracturing operations. The R&D expenditures were $360 million in 2017, $329 million in 2016 and $487 million in 2015. 3. Wide International Operations: Halliburton operations are widely distributed throughout approximately 70 countries. They provide a comprehensive range of services and products to the energy industry. A significant amount of the consolidated revenue comes from the sale of services and products to major, national and independent oil and natural gas companies worldwide. 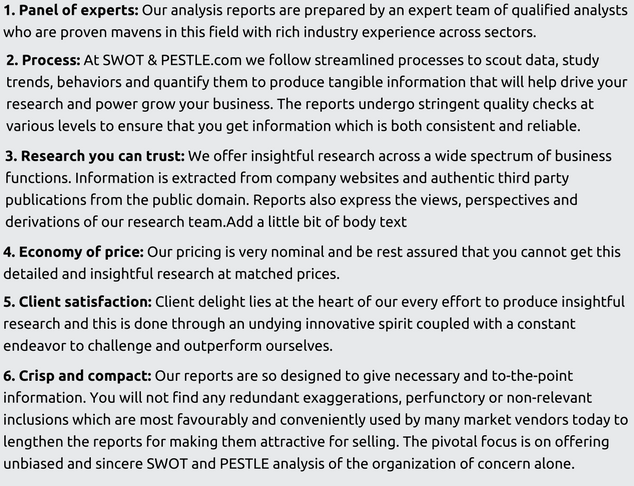 The competitive industry witnesses many competitors in each segment of the business. In 2017, 2016 and 2015, based on the location of services provided and products sold, 53%, 41% and 44%, respectively of the consolidated revenue was from the United States. The Middle East continues to be the most active international market. In this area the largest part of the work is focused on maximizing production in mature fields with the use of technology and expanded reservoir knowledge. 4. Strong Brand Value: Halliburton is a popular brand in the Energy segment. The company ranks 743 as per the Forbes 2017 global public list and 274 in the America’s largest public companies list. 2018 saw the company achieving rank 146 as per the Fortune 500 rankings. Apart from this Halliburton ranks No. 7 on the Transport Topics Top 100 list of the largest private carriers in North America. The Company has also received much recognition with respect to Digital transformations and sustainability ratings in safety and occupational hazard category. 1. Political stability: Oil and gas companies are highly impacted by the stable political functioning of the government of the country where its operations are. For instance, the recent Venezuelan crisis forced many companies to cease operations. Due to operational delays caused by a decaying socialist system, Halliburton reported a loss of hundreds of millions. Also, the ongoing US-Iraq conflicts led to Halliburton getting few development contracts in Iraq for the extraction of the Iraqi Oil. When ISIS declared a caliphate in Iraq, the projects faced massive delays and there were losses incurred by Halliburton’s subsidiary in Iraq. There is always a risk of nationalization of the entire industry in oil and gas as it is an essential resource and is highly dependent on the government of the day. One of the best examples is the overnight nationalization of Saudi-ARAMCO which poses threat to the Halliburton assets especially in the developing countries in Africa. Similarly the Russian and US crisis can further impact the operations of the company. 2. Risk of political conflicts: If the US pursues its policy of reducing Iranian oil exports to zero, OPEC capacity will be unable to meet shortfalls. Any constraints on Iran’s exports will only further drive up prices and create major headwinds for the economy of major oil consumers. Venezuela is in under risk, and an agreement between OPEC and Russia is curbing daily oil production by 1.8 million barrels. In 2017, the U.S. Government announced sanctions directed at certain Venezuelan individuals and imposed additional economic sanctions around certain financing transactions in Venezuela. In 2017, the U.S. Government imposed additional sanctions against Russia’s oil and gas industry and certain Russian companies. Thus the company’s ability to engage in certain future projects in Russia or involving certain Russian customers is dependent on the involvement in such projects which is restricted under U.S. or EU sanctions laws. These laws may change periodically and could further hinder the ability to do business in Russia. 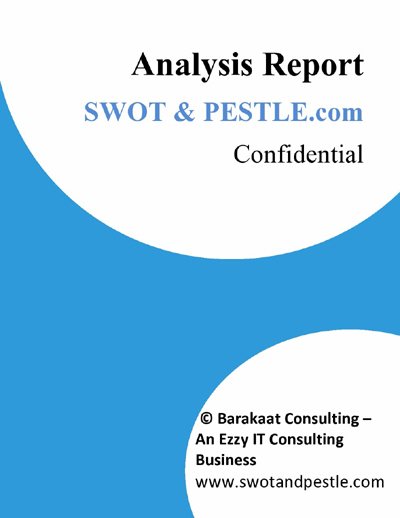 Halliburton SWOT and PESTLE analysis has been conducted by Soumya Surya Adhikari and reviewed by senior analysts from Barakaat Consulting. 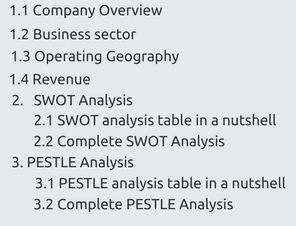 Copyright of Halliburton SWOT and PESTLE Analysis is the property of Barakaat Consulting. Please refer to the Terms and Conditions and Disclaimer for usage guidelines.